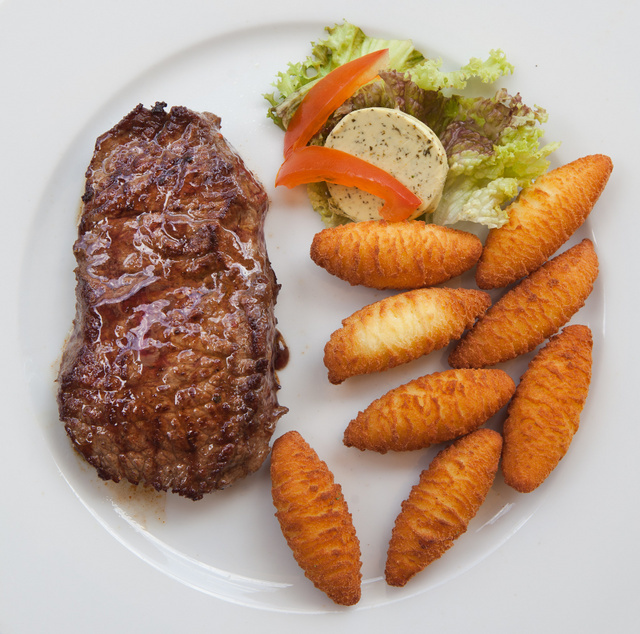 This entry was posted in food and tagged potatoes, steak, Switzerland. Bookmark the permalink. Mmmm. Very nice. I’ve always been partial to traditional Rosti dishes myself. I love the hearty comfort of Swiss food. Any idea how those potatoes were prepared, looks like an interesting new way to go about it. Looks good! I had little potato balls with the same texture and color,about the same diameter, apparently, at a restaurant in Goldegg, Salzburgland. It was a restaurant in a castle that allegedly played part of the von Trapp mansion in The Sound of Music. Any special flavor or were they pretty much deliciously deep-fried potatoes?